November | 2011 | Can't Believe It's Allergy Free! This favorite dish is not only allergy free, but has some vegetables sneaked into it for enhanced nutrition. It is made without the addition of high sodium, canned soups. In a large lightly greased casserole pan, combine potatoes with 4 Tablespoons melted butter/ margarine or ¼ cup olive oil, shredded cheese, shredded zucchini, salt and pepper. Mix corn-starch into the milk/ rice/soy milk, and add to the chicken stock, stirring all the time till sauce thickens. Pour sauce into the potato mixture. Mix 2 Tablespoons melted butter/ olive oil into the cornflakes. Spread on top of potatoes. This cake is truly a wonder cake. It is free of all the allergenic foods, even dairy. Sift the flour, cocoa and baking powder in a mixing bowl. In a separate bowl, whisk together the oil, sugar, prepared Egg Replacer, and vanilla extract. Pour in Club Soda, a little at a time and continue to whisk it in, till it is well incorporated into the batter. Mix further using a hand held mixer, for about half a minute of so. With thin knife, loosen sides of cakes from pans, invert onto racks to cool. In a saucepan, mix all ingredients, except for the vanilla extract, and bring to a rolling boil. Boil for a full minute. Remove from heat, add vanilla and beat until creamy. Let cool for about 5- 7 minutes. Frosting should be warm while spreading. Place one cake layer rounded side down, on cake plate. With a narrow spatula, spread 1/3 frosting over layer. Spread 1/3 frosting on top of cake. Use remaining frosting to cover sides. 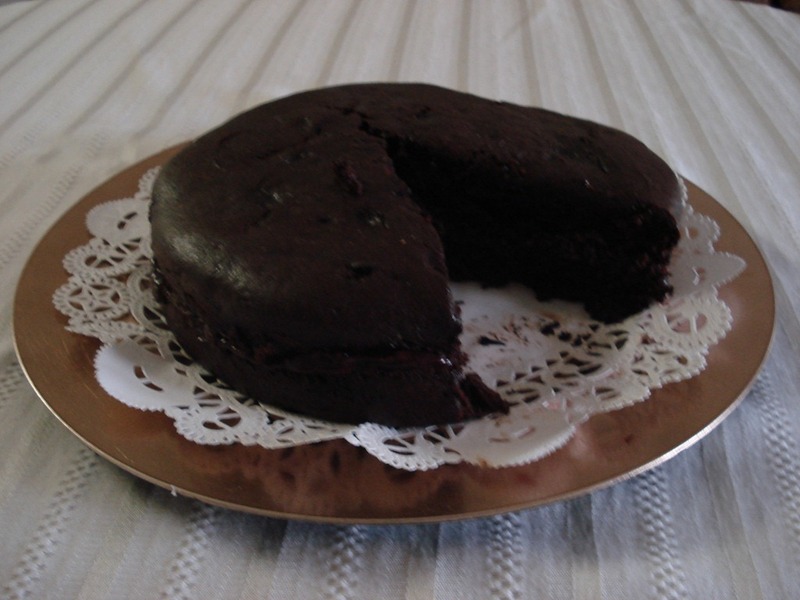 Here’s a traditional favourite which can be made wheat free! Those with allergies do not have to merely watch while others around them gorge on Gulab Jamuns during festivals and parties. These Gulab Jamuns are equally delicious and can be enjoyed by one and all! Mix together all dry ingredients (Milk Powder, Corn Starch and Baking Soda) in a medium size bowl. Add 1 ½ teaspoons Ghee, reserving ½ teaspoon for later use. Mix 2 Tablespoons of Yogurt and make a medium soft dough, adding the remaining Yogurt in small quantities as required. You may not need the entire quantity, depending on the consistency of the yogurt. Knead well, so that the dough is very smooth. Smear a little Ghee on your hands as you knead, to prevent the dough from sticking to your hands. Ensure that the surface of each ball is smooth and does not have cracks on it. Pour Oil into a medium wok (kadhai) and allow Oil to heat well. Test readiness by dropping a small bit of dough into the oil. When oil is ready, lower heat. Fry the Jamun balls on low heat, a few at a time, till they are a rich golden brown colour. Remove from oil, holding the slotted spoon with the balls against the side of the wok, so that maximum oil will drain. Place on a dish with paper towels. Meanwhile, combine Sugar and Water and place on medium high heat. Stir occasionally till the sugar is completely dissolved. Allow the syrup mixture to come to a rolling boil and continue to let it boil for 5 minutes. Gently drop the fried Jamun balls into the hot syrup, watch them partly absorb the syrup and fluff into larger, spongy balls. Enjoy while warm, or zap your portion in the microwave—just great!